A new creature has appeared in Pokémon Go, and no one seems quite sure what it is or what it is doing. 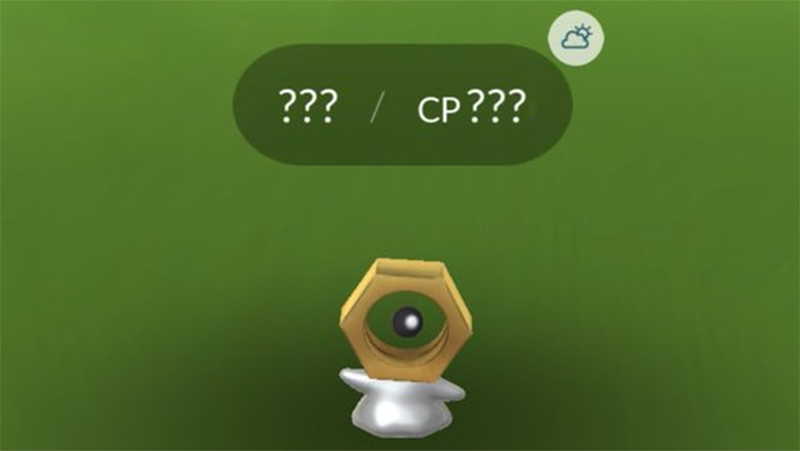 Yesterday, IGN reported that a data miner had pulled a potential new Pokémon from the files of Pokémon Go. As of this morning, Eurogamer and IGN have both reported that the regional Chikorita Community Day events in both the Asia Pacific region and the European region ended with players being flooded with a mysterious new creature that could not be caught. It has no name. It looks like the ghost emoji with an industrial nut for a head. When players capture it, it turns into Ditto, a Pokémon that is famous for morphing into other Pokémon. As an extensive thread on the Pokémon Go Reddit shows, people are both amazed and frustrated that they cannot catch this weird little creature. Kento Suga, the Global Marketing Lead for Pokémon Go, simply tweeted a single image of the pokemon with “?? ?” as the text. Clearly there is something official (and fishy) going on with this thing. Sadly, it seems that all we know about this Pokémon currently is that we don’t know anything.